The Los Angeles County Board of Supervisors is considering an ordinance that would require pharmaceutical companies to operate and fund a program to collect and safely dispose of unwanted prescription and over-the-counter medications. This program is similar to a program enacted in Alameda County, which the pharmaceutical lobby (“PhRMA”) challenged unsuccessfully up to the United States Supreme Court. 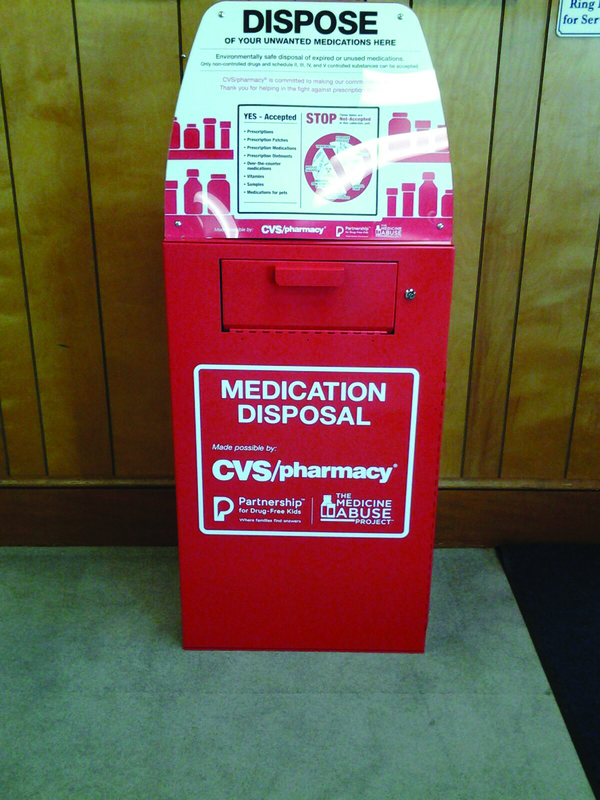 Providing facilities to collect and destroy unwanted medications has important health, safety and environmental benefits: protecting the elderly from drugs they no longer need, protecting youth from using and trafficking in dangerous prescription drugs, and keeping chemicals out of our wastewater and landfill. Even though PhRMA opposed the ordinance in Alameda County, during the litigation they represented to the court that they did not dispute the health, safety and environmental benefits of the ordinance. After PhRMA resoundingly lost in court, the new strategy to defeat the Los Angeles ordinance is to frighten elderly voters into thinking that if this ordinance passes, the cost of drugs will soar. These new cost claims are simply false. Of course, there is nothing new about false claims being made in political campaigns. The cost issue was central in the Alameda County litigation. There, PhRMA agreed that the annual operating cost of a “drug take-back” program would be between $330,000 (Alameda County’s estimated cost) and $1.2 million (PhRMA’s estimate). To understand how minimal this cost is, it must be compared with pharmaceutical drug sales in Alameda County of approximately $1 billion per year. This means that the cost ranges from .3 cent per $10 of drugs sold to about 1 cent per $10. Thus, the cost attributable to the sale and disposal of a $30 bottle of drugs (for example) is between 1 cent and 3 cents. During the briefing and argument before the federal courts, Alameda County used the cost figure of “1 cent in $10” repeatedly; PhRMA never disputed this. This is hardly the kind of expense that will impact the cost of drugs to consumers. PhRMA has never provided any basis for their false cost claim. In fact, PhRMA keeps secret much of their financial information. They will not provide figures on sales, profit margins or costs. They will not provide information about the pricing up the distribution chain, starting with the manufacturer, going through any distributors, and ending with the retailer. Because there was no way to corroborate any cost or pricing claim PhRMA makes, their public estimates should be viewed with great suspicion. PhRMA’s claim that greater costs would have to be passed on to consumers also raises serious questions about PhRMA’s profit margins. With high profit margins in the pharmaceutical industry, why would any cost have to be passed on to consumers, particularly a cost that ranges from .3 to 1 cent per $10 dollars of sales? Will the price of a $30 dollar bottle of pills now be increased to $30.01 or $30.03? If PhRMA falsely claims that they have to raise the price of that $30 bottle to $31, they will be pocketing another $.97 to $.99 in profit. If they raised the price 10% to $33, they will profit another $2.97 to $2.99. In fact, for Los Angeles, the industry cost of operating a drug stewardship program should be less on a proportional basis than Alameda County. PhRMA has already spent the money to create a drug stewardship organization, which was established in Washington D.C. PhRMA is currently required to operate such drug take-back programs at least in Kings County, Washington, Alameda County and five other California counties. As overall management costs of their stewardship organization are spread over more programs, they will experience economies of scale, a benefit that will only increase if Los Angeles is added to the mix. Drug companies already operate and fund very similar programs in Canada and Mexico. There, patients obtain less expensive drugs, so it is fair to say the drug take-back program is not the cause of increases in drug prices. The ordinance is an intelligent and economical approach to a significant problem. Los Angeles should reject PhRMA’s fear campaign and join those other counties and jurisdictions who enjoy the health, safety and environmental benefits of a drug take -back program. Arthur J. Shartsis, with Shartsis Friese LLP, was lead counsel representing Alameda County against PhRMA’s legal challenge to the ordinance. Heidi Sanborn is the Executive Director of the California Product Stewardship Council (CPSC).CPSC educates and promotes that producers of products share in the responsibility for end-of-life management.